What does graffiti have to do with wines? We will get there in a minute or two. There are two new wines from Argentina listed at the LCB and some local stores. This is not normally noteworthy. The way these wines are being put to market, is however, a little unusual. It even involves putting graffiti on a wall in Toronto. The wines first. 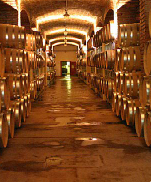 These wines are made by Graffigna, Argentina’s second oldest winery, established in 1870. Graffina is located in the San Juan Valley, which is at high altitude, and has a hot dry climate. 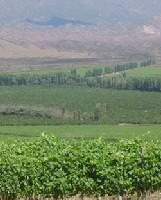 The region is north of Mendoza and borders on Chile. The first wine is a 100% Malbec, aged in both French and American oak. Here are the tasting notes from the winery. Color: deep red with violet highlights. berries, a touch of black pepper and spicy fragrances. complex finish with hints of coffee, vanilla and toast. The second wine is a Pinot Grigio. The following tasting note is from the LCB site and we have included the SKU to make it easier to find. We did find this much fuller than most Italian versions. This is a great value Argentinean Pinot Grigio with spice, pear and ripe citrus aromas on the nose. It is slightly fuller in body than most Italian versions, which makes it a great white wine for meat. Legacy Liquor Store is doing a tasting of these wines Dec 26th, try them out before you buy. “Jaz’s vibrant work can be seen on the streets of cities around the world, from Madrid to Montevideo. With this launch event, Graffigna brings together two of Argentina’s most powerful cultural expressions for Canadians to enjoy”. The importer toured the country with paintings from this artist to showcase both the wines and the art. We will let the art speak for itself, as we do not know how many points to give it. Oh right, you don’t give points to works of art. We attended this tasting in the wine room at Cin Cin on Robson. This entry was posted in Argentina wines, food and wine pairing, Malbecs, South American wine, wine tasting and tagged Argentina, Argentine wine, Liga Portuguesa de Basquetebol, Mendoza, Pinot Gris, Toronto, Wine, Wine tasting. Bookmark the permalink.